We are currently raising funds to build Hillside Community Garden on 2.5 acres of derelict land behind Lincoln County Hospital. We have until the 19th August to raise a minimum of £10,000 on our crowd funding campaign. To donate click on the Support us tab or visit www.fundit.buzz/greensynergy. 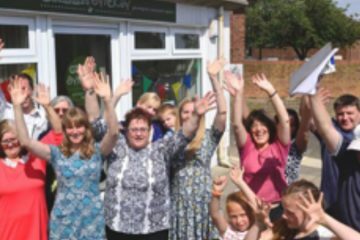 Originally founded in 2012, Green Synergy is a Lincoln-based charity which uses community gardening and horticultural therapy to help improve people's lives. We work in disadvantaged communities and with vulnerable people, including those living with mental health conditions, learning difficulties, physical disabilities, long-term health problems and unemployment. 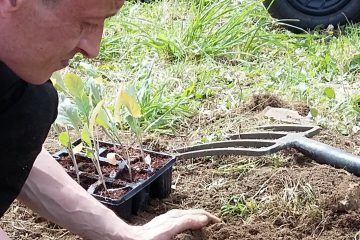 We use gardening to build skills for life and work, improve mental and physical health and educate people about the environment, food and farming. 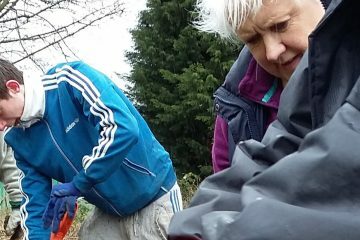 Our Mission is to use community gardening and city farming to help people socialise, learn and thrive. 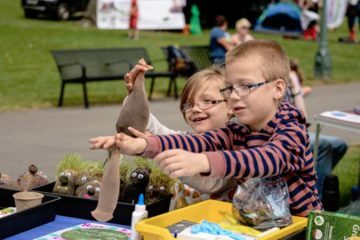 Our Vision is for the people of Lincoln and the surrounding areas to have access to a network of local gardening and city farming projects therefore creating even happier, healthier, stronger and more sustainable individuals and communities. Take a closer look at some of the transformative projects we've been involved with over the past 4 years. Get in touch with one of our team to discuss an idea, an existing project or how you can help us transform your community. we've had the privilege of working with. 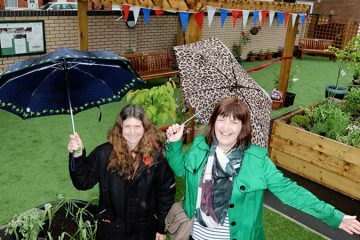 "The residents and Green Synergy have worked tremendously hard to create this new community garden. "It really goes to show what determination and hard work can achieve for our community. Projects like this help people to get to know each other and encourage a real community spirit"
"I got involved because I think we don’t pay much attention to the environment... being a volunteer, what I have found incredibly valuable for me is a willingness to share experiences - I mean even if it's sharing the negatives and the positives, there is a place for that." "I’m poorly, that’s why (Project Leader) got me involved, ‘cause it gives me something to do and stuff, ‘cause otherwise I don’t get out much ‘cause I have a carer, so if (carer’s) not at home I have to sit at home all day and get depressed ... But I can do the gardening with my illness and my illness doesn’t affect me or anything. So it’s brilliant..."
"I wouldn’t talk to anyone, I used to keep myself to myself. I didn’t feel comfortable meeting people. Getting to know people at the project has helped me to feel more confident in social situations. 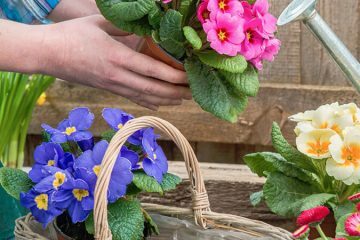 I’ve also had an opportunity to develop gardening and maintenance skills which has helped me feel more optimistic about reaching my goals in future. I am now able to plant vegetables, build stuff like garden furniture and mend things. I feel a lot better about talking to new people. I think the project is awesome. 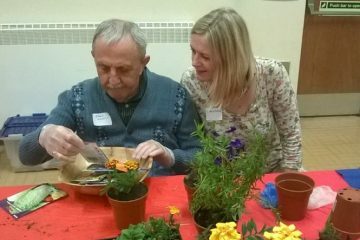 It has really helped me..."
"Working with Green Synergy has always been a joy.They have taken the trouble to explain things thoroughly...the gardening has inspired our members and helped them to enjoy more hours being outside. Green Synergy have given us good ideas and taught us basic gardening skills. 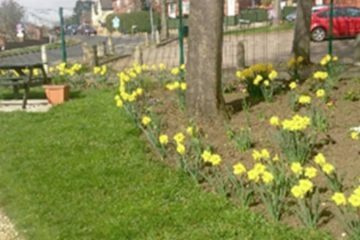 The restoration work on our memorial garden was carried out sympathetically. 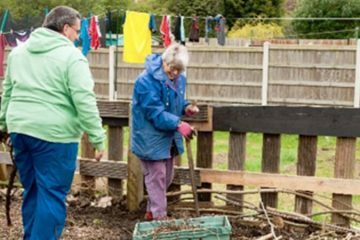 With its new raised beds, it is an absolute joy to work in for all of our members even those wheelchair bound... Thank you Green Synergy"
We would like to thank Stuart Wilde for the contribution of his professional photography services. We would also like to thank everyone who has individually donated money to Green Synergy and everyone who has volunteered with us.